CHICAGO (WLS) -- Epifanio Santos says when he went to buy a Lucky Day Lotto ticket, the first two stores he went to were closed. The third, little did he know, was where he would buy the winning ticket. "I am glad I didn't give up because the third store sold me a winning ticket!" he said. 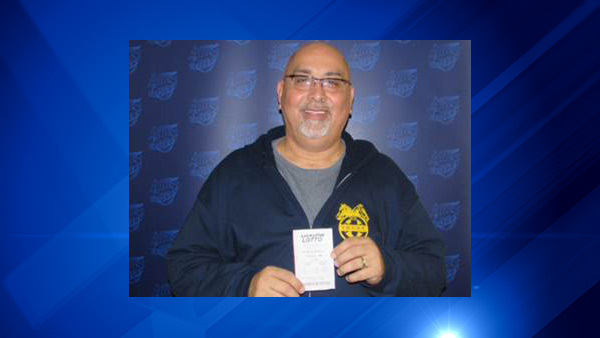 His ticket was purchased at the Safeway Food Mart in the 4000-block of West Armitage Ave.
Santos, 56, won the $100,000 prize in the Jan. 22 drawing after playing for the past couple months, he said. He works as a City of Chicago truck driver and has lived in West Humboldt Park his entire life. He said he plans to use the winnings to buy a house for his family. "Those who win should spend it on their loved ones," he said.